Nintendo has recently ventured into the mobile gaming business and you might have noticed some of these are *free* to play (eg: Fire Emblem Heroes, Super Mario Run, Pokemon Go). They first tested the waters on their own consoles (Wii U and 3DS) and I will be checking if the ones offered on the 3DS are worth your while (and money). 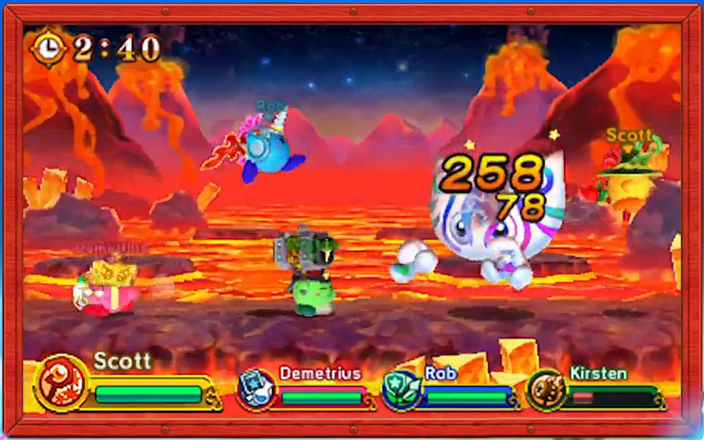 An action game where you and three other Kirby’s (either AI controlled or ghosts sent by your friends) beat up well known enemies from the Kirby universe. 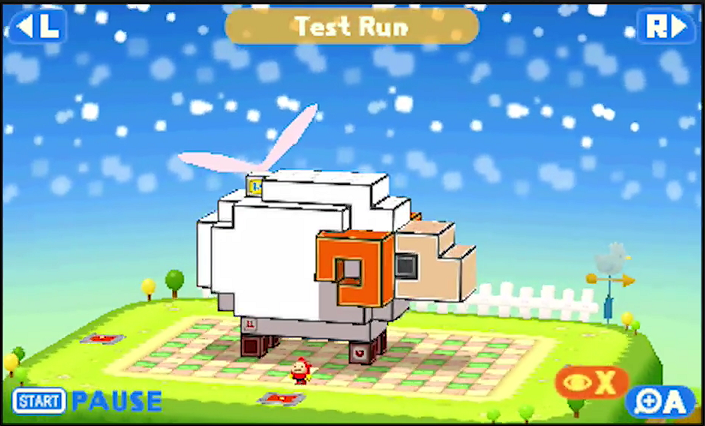 It’s a more fledged out version of the minigame that was present in Kirby: Planet Robobot. You can choose from among 4 classes: Sword Hero (Tank/DPS), Hammer Lord (Big damage), Beam Mage (Debuffs/ranged) or Doctor Healmore (Healer/ranged). Yes, if only for an hour or two. 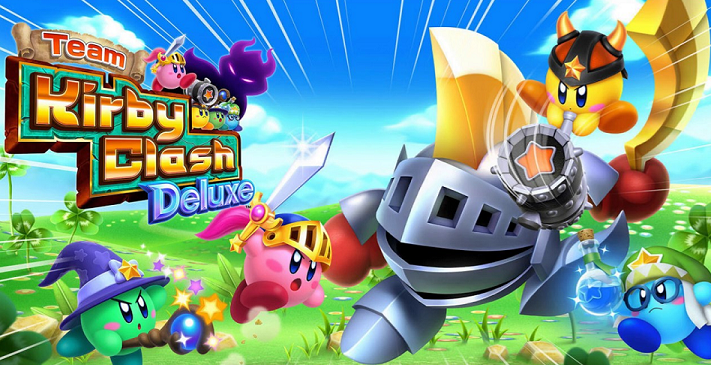 The game is pretty entertaining and visually one of the better free games on the 3DS. The problem with it is that you’ll soon be hit by a paywall where you either have to wait for more resources, grind a lot of battles to gain EXP and items or shelf out money to speed up the process. I made it to about lvl 10 out of 50 before the progression slowed down too much to keep me interested. Just like the Mini Mario games before it, it’s a Lemmings-like puzzle game where you need to get your character to the exit door. You’ll have to make paths and clear away obstacles to get there. It’s only interesting if you are into the Nintendo amiibo figurines, as you need these to be able to play with different characters. You also need to own a *New* 3DS or a NFC Reader accessory to able to read the amiibos. There are 60 levels but most of them are too easy for experienced gamers. 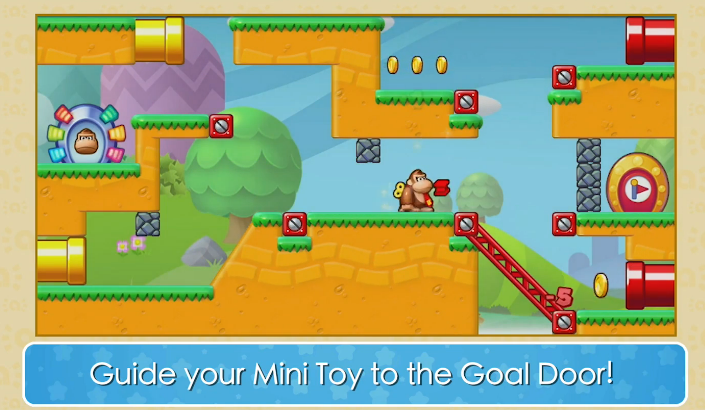 It’s fun for a while and nice that each character has its own special ability, but unfortunately there are only 10 recognised characters from the Mario or Donkey Kong games, the other ones will only result in playing as Mini Spek. Nevertheless, except for having to own the amiibo’s it’s a completely free game, so feel free to complete it. A variation on Nintendo’s well known Picross puzzler: you need to colour in certain squares to make a pixelated image of a Pokémon. To help achieve this you have number indicators on the side that help you know which ones to fill in + you can bring a team of up to 4 Pokémon and use their abilities to assist you. Hell yes! 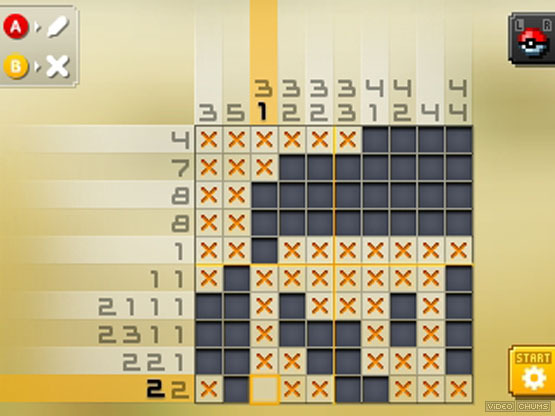 This might arguably be the best version of the Picross games out there. 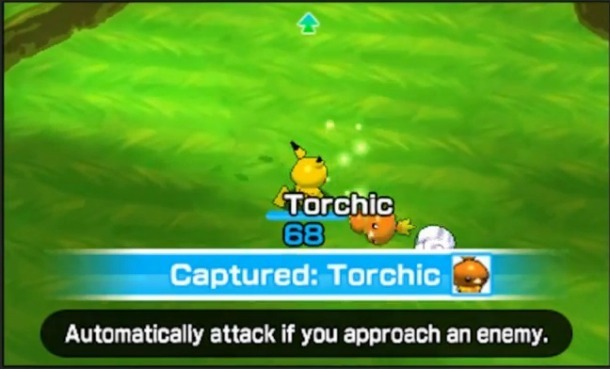 Having the added value of collecting Pokémon and choosing which of their abilities to use really expands the gameplay. There are over 300 puzzles in the standard mode alone (each representing a different Pokémon) and then you get to play them all again in a more difficult version. The amount of content is absurd and it’s possible to complete it all without spending a penny. Sure, you will have to wait some time for your energy to refill, but this kind of game is enjoyed the most on short burst anyway. I’ve personally spent over 80hours playing this and heartily recommend it! It’s a crane machine game where instead of stuffed animals you can earn badges. 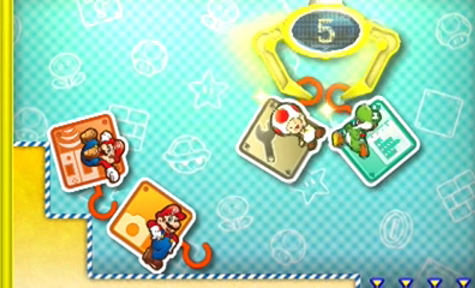 The badges you earn can be used on your 3DS homescreen to spice up the menu. It depends on how much you are into customizing the homescreen of your 3DS. The actual game isn’t all that fun and it only allows for a few plays each day. Furthermore on the old 3DS systems having too many badges on your screen considerably slowed down the start-up time. It’s also one of the more “pushy” games in trying to make you spend real money on it. I’m not a fan. 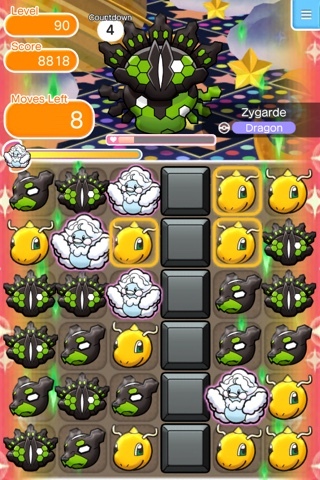 It’s a connect-three type puzzler where you have to line up three or more of the same Pokémon to make them disappear. It’s basically Candy Crush with Pokémon. Yes, you can spend hours with this without getting bored. Especially the first 20 or so hours go by like nothing. As with Picross, it’s amazing to see how adding some collectable Pokémon, each with their own abilities, can breathe some additional life into a type of game most of us have grown bored with. It’s a fun game if you like to play one or two levels each day and it does take a while before you hit that paywall. But when you do, it hits you hard. Near the later levels the game becomes significantly harder and I’ve personally gone weeks without getting past a certain level. It’s frustrating to have to wait another day to have another go, so it does get enticing to spend some money on it and be able to continue. I’d say play it until you get bored of it. It could easily last you 50 hours playing for free. A simple action game where you play with Pokémon toys and have them bump into each other. 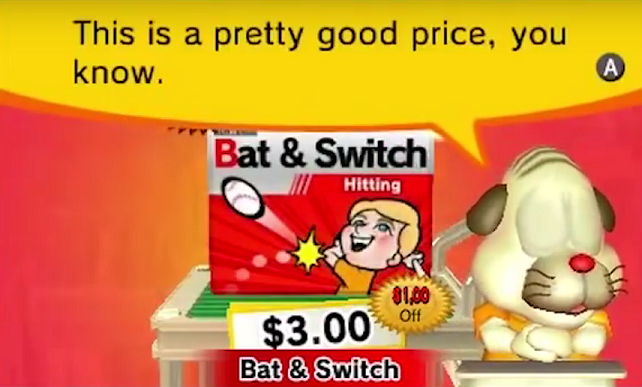 It’s pretty much the same game as the Pokémon rumble blast, but instead of paying for the full game you unlock more of it in a pay-to-play system. No, I’d avoid it. The basic gameplay is too simple (you have only one attack) and it gets boring really fast. The only allure to the game is, again, collecting all the different Pokémon. But since there are so many better games that allow you to do just that (and two of them are on this list) I would say your time is better spent elsewhere. A puzzle game that asks you to pull/push shapes so you can climb them. It’s basically Pullmo but you get to choose which puzzles you buy instead of paying the full amount for all of them. 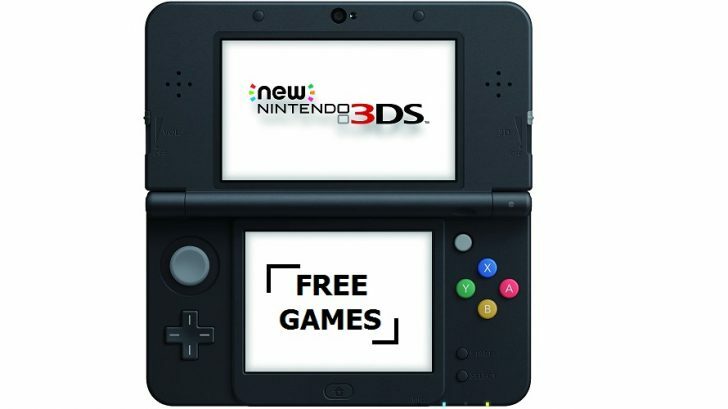 Well, Nintendo lists it as a free game but it’s more of a demo. 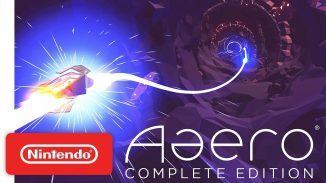 You only get a select few intro puzzles and are then asked to pay for more as DLC: a pack of 100 puzzles for $4.99, three of 50 for $2.99 each or all of them in a bundle for $9.99. The demo gives you a good idea of what to expect in a few short minutes, so I’ll leave it up to you to decide. Personally I didn’t feel inclined to pay for it as the gameplay didn’t click for me. But I can see how some find it enjoyable; especially if you like the puzzles based on the NES characters. A collection of ten baseball themed minigames . You can bat, catch or throw but only get the 1st batting game for free. Remember how I said you only get the first game for free? Buying the other games is a game in and of itself: you have to haggle with Rusty to get him to give you real discounts on the “DLC”. This can be done by playing the other games well, giving him items or outsmarting him in dialog. In the end you may actually feel good about paying Nintendo money if you end up paying $18 instead of the $40 originally asked (10 games at $4 each). 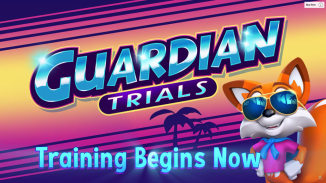 While the actual minigames aren’t that much fun, I found this a very fresh approach and it might be something other developers should look into. Imagine if you could download a racing game’s demo and get a discount if you place well on the leaderboard. It’s an innovative idea to say the least! A submarine game where you can shoot down AI in the single player campaign or play online versus friends. You only get a few subs and 2 single player mission in the free version. If you’ve played the original Steel Diver, you’ll know what to expect. 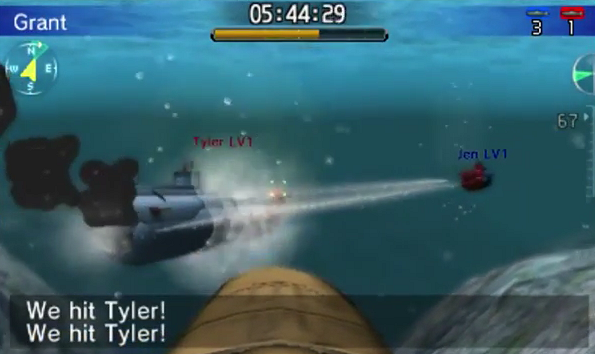 Nintendo calls it “a fast-paced undersea combat game” but in reality the gameplay isn’t all that fast (as one would expect from submarines). Manoeuvring your submarine isn’t fluid and locking in on other players, especially human opponents, feels like a drag. It’s more of a demo than a free to play game, as you’ll have seen all there is to see in about 30 minutes of playing. If you did like it and want more, it only costs you $10 for the full package and the game honestly feels more polished than the Steel Diver retail game. It’s not like it isn’t any fun, but I personally prefer the faster combat in aircraft combat games. 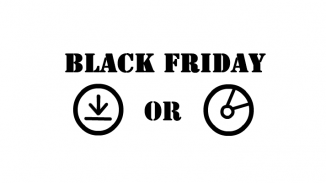 It seems the Start for Free games are hit and miss, but some are worth checking out and since you don’t have to spend a penny: What have you got to lose?